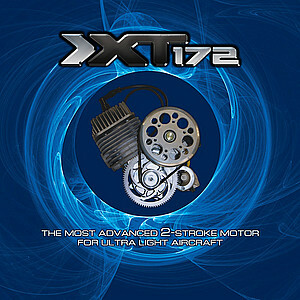 Its not a Rotary, the 172 XT is a Single cylinder 2 stroke, 172cc, Air cooled, 20hp at 7,800 rpm with Electric Start and all up weight around 13.5kg including exhaust. A lot of work and redesign has been done to improve efficiency, reduce overall weight and increase reliability. This entry was posted in AIR, New Products, Paramotor News and tagged paramoteur, paramotor, paramotor ppg news, ppg by Admin. Bookmark the permalink.